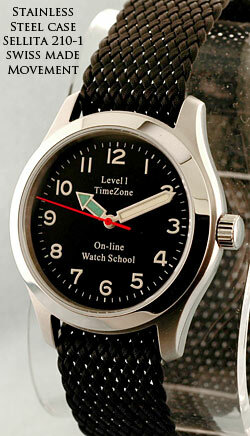 Learn the basic skills and tasks of watch repair on-line with the www.TimeZone.com Watch School. Since the year 1999 the TimeZone Watch School has provided the start of many watch repair careers along with giving the knowledge and skills to amateur watchmakers around the world in the comfort of their homes. This has got to be the best if not the highest value per dollar spent for an on-line education. For only $75.00 enrollment fee less than the cost of a single college book you receive an amazing modern education on basic watch repair. This is provided step by step with picture and text of taking the watch movement apart and putting it back together. Once completed you can case your movement and wear the watch with real pride. The second best feature is the school is the Student Forum that is led by a real watch repair school teacher, who is ready and does help with any problems you have by posting in the Forum which is full of wonderful posting by other students. If you are interested in repair of watches or just watch to know more about how they work please check on the link below to the TimeZone Watch School. I have been facinated with watches my whole life. I use to tinker with old,broken,watch movements as a child in my fathers store. Basically just destroying them. I never new how to get watch training so I settled on becoming a hand engraver (which I do currently as a profession). I have to say this is a dream come true for me. As soon as I recieved my password I read the whole course twice.I recieved my toolkit and movement yesterday. After work I stayed up and completed the whole course. Then took apart 2 other watches I had laying around LOL! I used the ETA 6497-1 movement. Everything went well with the exception of shooting a U shaped spring from the keyless works. Never to be seen again, but after completion I got it to wind without it and it seems to run very well. The Second watch I disassembled and reassembled was an old "Zodiac" 17 jewel movement. Went well without any problems. The third was a 1 jewel brass movement which I have no idea how it ever ran in the first place. It was tricky but eventually went together. It runs a bit fast but I'm just happy they all run at all! 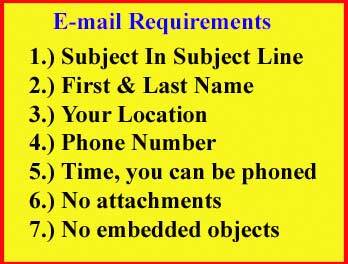 All the steps in the course were very clear and well written. The pictures complimented them perfectly. This was really the key to my sucess in this course. Thank you Machiel Kalf and everyone else who is involved with this program. You guys are awsome and I'm very greateful for stumbling across TZ watch school. I would highly recomend this course to anyone. Thank you Soooo much for a great expierience! I cant wait to do level 2. Yes, Will is right. The strength is important. But it is important that you can cut a very sharp point for using it in small holes. Another point is that the real pegwood has a little bit oily structure. What makes that it works perfect. It is important that if you use it in a pierced jewel that the point is not round. The function is that it "cut out" the old oil residue. Thanks for the question! Yes, I finished the assembly of the ETA 2836-2. Compared to the Tissot 2451, this was challenging. And, yes, it runs and no part missing :-) I lost one of the Novadiac springs during disassembly, but found it again. The hardest part during assembly was oiling. I’m still not sure there is enough oil everywhere. When I started disassembly, I could clearly se oil on the jewels through the 10X loupe. But when I assembled it and oiled it following the oil amounts described in the course material, it didn’t show through the loupe. So I just left it as it was. The course clearly states that less is better. I also had a struggle trying to fit those Novadiac springs. First I tried using tweezers and a flat rod of pegwood. After a minute I understood it would be close to impossible trying to get the tree protruding parts of the spring under the tree lips using two tools. Since I only got two arms I decided to try our teacher’s second advice. I found a piece of plastic rod and made it fit the inner diameter of the spring lips. Then I drilled a concave recess at the end and used the rod to turn the spring. I was amazed how well it worked. No more worries with Novadiac springs. Now I have wound the movement to se if it still runs in the morning. I still have the timing part of the course and casing left to do. This whole lvl2 course have been a pleasant experience for me and I’m really inspired to start working on the other watches I have got since starting here at TimeZone. I'm in the middle of the level one course and am very pleased with the course and with learning a new skill. For magnification I'm using the optivisor 10 and the accessory magnifier, as opposed to a loupe. This seems most comfortable, since I wear reading glasses. I am wondering if there is a magnifier that has a longer working distance at these same magnification levels? When using the optivisor it is a challenge to get enough space between my eyes and the movement to properly use a screwdriver. This necessitates viewing the movement at a greater than desired angle. Please let me know if such a magnifier is available, as it would be a good addition to my toolbox. Kevin, I feel your pain. I also am using a visor but it has its limitations for my old eyes. I looked online for medical binoculars of the type that surgeons use. They are about $900 USD new. Yikes! They are very customizable e.g. magnification and focal length, but for me, too expensive. Maybe I can find some used ones somewhere. If you find a good alternative, please let me know. This is my first attempt at disassembly/assembly and I'm anxious to start the reassembly process (although I suspect it will be much difficult. I've have a dozen or so everyday watches and just recently started the process of looking at some better watches -- My first purchase was a 1927 Bulova with a skeleton back (the back of the case opens to expose the skeleton). I've also got a Doxa antimagnetique and an Omega DeVille Co-Axial Power Reserve Stainless Steel Automatic 4532.50. I'm pleased to say that the 2801 is now re-assembled and working. During this a question occurred to me: With larger movements such as pocket watches the wheels are, presumably, larger. Is it usual for the number of teeth to increase in number for larger wheels or do they increase in size? Obviously the gear ratios must remain the same. There is one thing that worries me about disassembling watches in the future and that is keeping track of the parts and knowing which way to re-assemble them. Obviously this will get easier with experience but I would hate to disassemble a watch and then be unable to re-assemble it. Do you have any 'tricks of the trade' or advice about this? I found level 1 very enjoyable, the course has been excellently written and photographed, will Walt Odets someday publish it in the form of a book? As soon as the extra tools etc. arrive I shall make a start on level 2. Thanks for answering my questions, I'm sure that I'll have more when it comes to level 2. Probably the biggest think lacking in the Level I toolkit (and not really needed) are case and strap/bracelet tools. If you haven't already you might want to checkout the About Tool Kits page. What a interesting question. I feel i can add some of my own experience here. My first order was not limited at the level 1 Tools. I also bought a cheap case opener, a cheap bracelet pin remover and a lot more Tweezer than they suggest. The case opener so cheap that i had to use a file on the pin and it still scratch my watch. The pin remover is now a toy for my 2 year old, I bought another one. But even, the thing that i miss most after the course is the Bergeon hand remover(presto #1). Removing hand, for me, is the most delicate action, using tweezer may scratch the hand or torn them. Those hand will be in your face everyday. I just finished disassembling and reassembling my Certina ETA2750. I was probably too heavy handed with the pieces, and didn't clean things enough, but the movement works. Practice makes perfect. It's a nice sense of accomplishment. Something I took apart, actually went back together! With no missing parts! What a change. The lessons were excellent. Very well written and complete. I had some problems between the photos of the movement in the lessons, and my movement, but with ofrei.com's great pictures, I was able to figure it out. I think I'm going to disassemble and reassemble my movement again. I need practice remembering the names of everything and having a lighter touch. Now I need to convince my wife to let my buy a CNC machine, a lathe, CAD programs, drafting lessons, etc. so I can build a watch completely from scratch. Thanks again, this was a lot of fun! Completed Level 1 today, and cased the watch. I truly enjoyed the experience, and want to move on to level 2 ASAP. I feel lucky that I only dropped one screw during the process, and I was able to find it with a magnet pretty easily. The only question I have is about regulation. I know that the regulation can be adjusted using the regulator, but how? Is it just a friction fit that is adjusted by nudging the index pointer? Fortunately since I do a little pen repair work (strictly junkers) I had a nice little work area: Here are some things I learned: 1) Although I will most likely do the level 2 course, and maybe dabble a little with junkers, this is definitely not the line of work for me! 2) Buy a nice hood, the eyepieces are horrible to try to do most of the work with, a hood makes it SOOOOOOO much easier. I did mine with 95% hood, 5% 10x loupe. 3) The white mat you see in the photo above is from Walmart, a nice little kitchen drawer liner. Best investment ever! It was about $5, is tacky on both sides so it does not slip and parts do not bounce or roll. If you do not have one, buy one immediately! 4) I was a little put off at not having a few things, the plastic crown piece would have been nice, a tool for the hands would make that easier, and I was a little miffed that the black face that came with my kit had no date window so I could not use it! Also, a screwball would be a welcome addition to the base kit (I did have the forethought to get one with mine, cant imagine not having it). 5) I think there should be a number 0 course, how to change bands and bracelets (complete with tools to replace and change links), snap back cases (with a case knife and press to put them back on), polishing crystals, bracelets, cases, etc (with some tools for that). This course could have a cheap snap back case quartz watch with a strap and bracelet. 6) I would also like to see a level 3 course with maybe a chronograph we could make. Overall the course was nice, the documentation good (I printed it all out to take to my workbench and to have as a reference), and the tools provided were fine. I really did not have too much trouble with it, although that should not be read that it was easy, it was not. But having this thing on my wrist ticking away makes it all worth it. And interestingly enough, this watch will give me something no $30,000 watch could, the feeling of accomplishment knowing I built this watch, me, personally, with my own two hands! Will, Machiel, Andy, Thank you for all your contributions. I can report success. The movement is now assembled and running. I took it apart again and found one of the jewel springs that went astray lying in amongst the wheels and that was the reason the movement didn't start. It has been a good learning experience and introduction to the black arts of watch repair. Many thanks for all your help. Finished and a BIG thank you. I'm sorry to say that I've now finally finished. I say sorry because these courses (levels 1 and 2) have been the most enjoyable thing I've done in the last 10 years and it's a shame it is over. However I'm now 'flying solo' and will no doubt learn from the many mistakes I'm bound to make. A big thanks to all concerned with the course, especially Walt Odets and of course Machiel who has always responded to my questions quickly and fully. In the 'Theory of Horology' book it says that the working position of a wristwatch is 8 o'clock up and inclined 30deg. (page 158) as wristwatches spend most of their time in this position. However I decided to use 6 o'clock up and inclined about 40deg for the working position in which I adjusted it, as near as possible, to 0s/d, an adequate amplitude, and 0.0ms beat error. This position is how the watch will spend most of the day on the wrist of someone working at a computer, as I do. After wearing it for a normal 24 hours of use, being wound in the morning and not worn in bed, it has gained 3.5s. On the second day the gain was the same. I'm very happy with that and will not try to improve it. The old saying applies: "If it works, don't fix it". My next project is my grandfather's JW Benson which has not been serviced since 1994. The movement doesn't have a movable stud carrier but otherwise looks fairly straight forward. However I'm sure to be asking for advice on the TZ Watchmaking and Repair forum sometime soon. Once again please accept my thanks to all concerned with the course, it's been great. Well - another satisfied customer! I'd just like to say a big thank you to Michael and all involved in putting this course together. I started the course in December '07, without having a clue about what went on behind the back of a watch, but with a mechanical aptitude, and a good degree of enthusiasm! I've since serviced or repaired another 8 watches (it's amazing how many people have mechanical watches tucked-away that need fixing) some for friends and family, others from ebay. Only one 'casualty' so far which was a £5 ebay job! Back in the late 1970's when I was about 9 years old, I was at the beach with my family. Another man and his kids who had been digging for cockles got cut off on a sandbar by the incoming tide, and swept off their feet by the strong current. The kids swam to safety, by the man couldn't swim and was drowning. So my father waded in and swam him to the shore (he was a lifegaurd at our local pool). The chap was clearly very embarrased, and after saying thanks, slipped away. Unfortunately my father's Seastar was clearly no longer waterproof, and took in a few drops of seawater. The local jeweler and watchmaker told him it was unrepairable - and so it sat in a drawer for the next 30 years (and my father moved on to a series of 'disposable' quartz watches). Anyhow, a canon pinion, center wheel, and fourth wheel later, and after much cleaning, it is now once again keeping good time. I could have had the dial restored too, but as it stands, it kind of tells a story. I was able to give it back to my father for his 75th birthday. - Following Machiel’s advice in an earlier exchange, I used refined petroleum (“benzine rectifiée”) to clean the parts. It seems quite sufficient for cleaning a new movement and I guess I will use it also on “new old stock” movements that have been stored but never built-in. Petroleum is less obnoxious to use indoors than the watch-cleaning solutions needed for more intense cleaning jobs. - I learned the hard way that things can go wrong until the very end of a watch-building project. After TZ level 1, I did a second 2801-based watch, which I messed-up when setting the hands. Pressing too hard on the seconds hand displaced the seconds wheel jewel and I don’t know how to go about fixing that. So for fitting hands, I now use a Bergeon no. 5409 movement holder, a contraption with an “elastic” platform that provides support to the center jewel whenever you press on it with more than minimal force. - I found the use of a dissecting binocular microscope (20x magnification) invaluable to check the work at every step. I never got the hang of using the 10x loupe. - Finally, I ended up buying a relatively inexpensive timing machine (A&F “Watch Wizard”) because it seems too frustrating to go to the end of the project without doing an accurate timing job. Short of designing a level 3 course (a major endeavour, I do realize), I think that some improvement could be made to lesson 2.8. as regards regulation. One issue that could be covered in more detail is correcting hairsprings that have a non-ideal shape. One example is given in the lesson but is not really obvious what corrective action was taken and why. This issue could be expanded, not necessarily with real photographs, but with a series of drawings showing the typical cases and the correction procedure and its rationale. Again many thanks to Machiel and Will for excellent advice and to all the participants in the forum for interesting questions and comments. I plan to redo the level 2 lessons with the 2824 movement. Project Nautical has lost less than 1 second over three days. Watch has been stored dial up and worn 3/4 hours daily in 90 degree heat and 65 % humidity. It's actually more accurate than my daily wear which is an Omega Deville Cronometer. Very impressive for a $108.00 movement. It will never earn an COSC certificate, but it's been fun to work with and wear. Whew, that was certainly more intensive than level 1. Though I did lose the circlip that holds the day ring in place. Go figure, the last part to install and it goes flying! I also lost one of the cap jewels so I stole one off of my 2801. I believe that the jewel assemblies are the same (any thoughts on this?). Anyway, it seems to be running fine (sans day ring, of course) and seems to be ok so far. By the way, can the 2836 be run without the date ring and still be fine? It doesn't seem like it should make any difference. I just finished a few moments ago so it still remains to be checked for regulation. As soon as I get that done I'll get it together into a case and take some pics. In the mean time I'll have to make another trip down to Otto Frei for some replacement parts to get everything back together as it should be. With all that I finally felt confident enough to tackle the ETA 2836-2. And I did manage to finish without losing or breaking anything (although a couple of parts did attempt escape). It's now only -3 seconds for four full days of running. However that is somewhat serendipitous what is really happening is that during my normal work day it is losing about 5 seconds and then gaining back about 8 seconds if left face up on my night stand. I left it pendant up last night as a test, and sure enough it continued to lose. I haven't had time to make any attempt at adjusting it, and given how well it is doing I may go on to other things first. Although my home-brewed timing machine indicates that it is a bit out of beat also. TZWS Level 3 was supposed to be about regulation wasn't it? I do have to open the case however and remove the bit of dust I left on the inside of the crystal. You can't see it normally but it casts a shadow on the dial in direct sun. Next projects are two Seiko automatics. Well, the barrel bridge is a fit! The keyless works now are functioning well, and the stem moves smoothly through winding, handsetting, and date setting positions, with all wheels engaging properly. I did have a bad moment with the keyless works when I couldn't get the clutch to engage the winding pinion after getting everything assembled- it was only after considerable head scratching that I realized that I hadn't properly engaged the blasted stop lever with the clutch. The stop lever was stuck between the clutch and winding pinion. This whole experience has really brought home to me just how fine the tolerances are within which a modern movement works- the pocket watches I've been working on seem absolutely colossal by comparison. I imagine a truly complicated watch must take enormous skill to service properly, to say nothing of years of practice. Whatever our watchmakers are charging, by and large, I must say I think they're earning it. Now to proceed with reassembly. . . I was attracted to the TZ Watch School because I'm inherently curious about pretty much everything. Due to the way my brain is wired, I'm able to hyper-focus on a subject until I reach a point of proficiency. I always start with a process of reading/researching (I have a voracious appetite for knowledge) to the point where I feel confident I can bite off some actual hands-on experience. By the time the kit arrived, I had the lessons memorized and had read through all the active (un-archived) messages in the forums. The only thing that did not go according to plan was that I loosened ALL the screws on the wheel bridge during the dexterity lesson. Unfortunately, I had not released all the remaining tension in the mainspring (the watch was not running, so not too much). I assume the upper escape wheel pivot was the first to 'jump' out of it's jewel. The rest of the train proceeded to release what stored energy remained within the mainspring (more than I would have thought). At this point, I was committed to full disassembly. My fear was that I might have damaged one or more pinion leaves or wheel teeth. The thought of a broken or bent pinion was top of mind. Once everything was apart, close inspection revealed no discernable damage--I had lucked out. I was very careful to place all pieces into one of the segmented parts containers--grouping by function as advised. I took my time, observed all the details, and had everything apart within an hour. So far, so good. Before reassembling, I cleaned all but the pallet fork (pallet jewel shellac in particular) and the balance assembly with rubbing alcohol. I'm not the type to put something back together without cleaning first. I did not perform any lubrication, and look forward to another pass at disassembly and reassembly after completing the second course. Somehow, the crown ring ended up in the triangle. I was sure it had made it into the parts container, being very aware of the fact it is not physically a part of either the crown gear or it's screw. I'll be ordering a replacement along with a level two kit. Without the ring, the screw must be loose enough not to bind the movement. So far, the watch appears to be keeping excellent time. Again, I look forward to a proper cleaning and lubrication. I ordered the sapphire crystal case with leather band. I installed with the white dial and straight hands. Pictures will follow. I could not figure out a way to install the dial feet into the holes in the movement. I elected to trim them down to approximately 5MM each, and they rest against the surface of the works side of the movement. I don't know if this is how I was supposed to mount the dial, but so far it appears to be working fine. At 50 years of age, I have been working with my hands for so long, and across so many disciplines (cars, motorcycles, RC airplanes/cars, computers/electronics, etc. ), I seem to have the requisite hand-eye coordination and a light touch with the tweezers (no flying parts). If you do not, you should practice the dexterity exercises until you have it down pat. There are no shortcuts to mastering good technique. I found the entire experience to be extremely rewarding. I do not plan to progress past basic maintenance for now. Someday I may invest in a lathe (I have a full size one for physically larger projects). But, for now, I'm very happy with the scope of the online lessons. As others have stated, I would be thrilled to enroll in a level three course if you ever decide to offer one. Before ordering the level two kit, I was wondering if I can substitute a nicer movement for the one in the kit (at an additional incremental cost of course)?